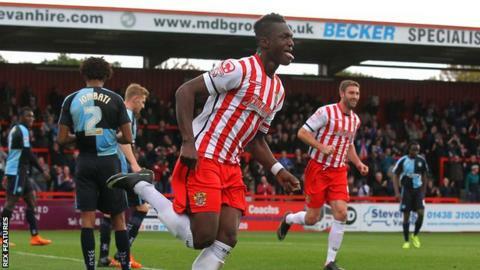 League Two side Stevenage have extended the loan of Chesterfield striker Armand Gnanduillet by a further month. The 23-year-old has made five appearances since joining Boro in October, scoring his only goal in a 2-1 victory over Wycombe. Gnanduillet is available for Saturday's FA Cup tie against Gillingham. Meanwhile, 21-year-old Jamaica winger Jamar Loza has returned to parent club Norwich City after making two appearances on loan.